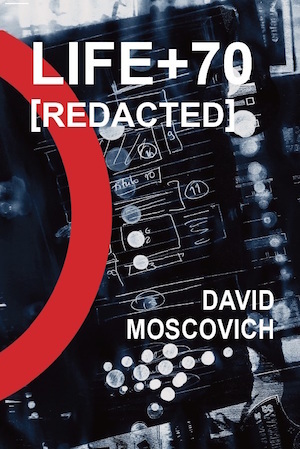 IN PRINT: David Moscovich's LIFE+70[Redacted], the world's most expensive literary ebook ever to be hacked (the sole copy retailed at $249,999.99), was published by Lit Fest Press in October 2016. 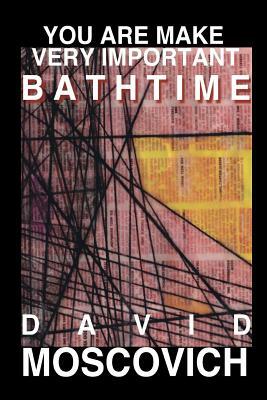 YOU ARE MAKE VERY IMPORTANT BATHTIME (JEF Books: Chicago, 2013) is about an expatriate in a foreign land and his failure to navigate the awkward seas of extreme culture clash. Set in Southern Japan, it is a celebration of the beauty of misunderstanding and the inadvertent poetry of bad grammar. Published by Journal of Experimental Fiction (Chicago, IL). Copyright © ﻿2019 by David Moscovich. All rights reserved.